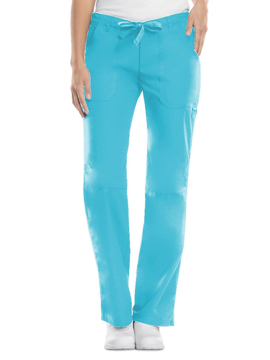 5-pocket knit waist midrise zipper pleat cargo pant. Modern fit. Elevated comfort: bio-mineral energy, thermoregulation, scientifically tested odor control, ultra-comfort 4-way stretch, and soil release performance. Regular Inseam: 30½". Petite inseam: 28½". Tall inseam: 32½". 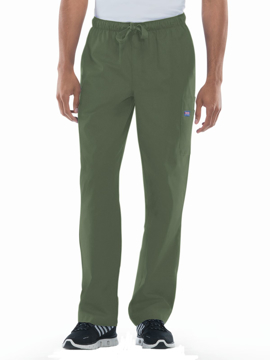 4-pocket drawcord waist pant with zip fly and welt cargo. Elevated comfort: bio-mineral energy, thermoregulation, scientifically tested odor control, ultra-comfort 4-way stretch, and soil release performance. Regular inseam: 32". Short inseam: 30". Tall inseam: 34". Crew neck long sleeve raglan with mesh inset tee. Elevated comfort: bio-mineral energy, thermoregulation, scientifically tested odor control, ultra-comfort 4-way stretch, and soil release performance. Center back length: 28½". 4-pocket surplice raglan top with back slit detail. Modern Fit. Elevated comfort: bio-mineral energy, thermoregulation, scientifically tested odor control, ultra-comfort 4-way stretch, and soil release performance. Center back length: 26½". 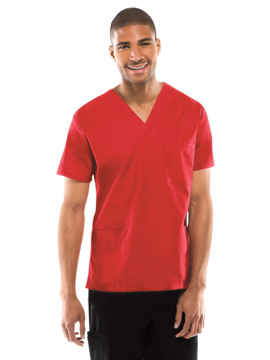 Single chest pocket with velcro closure, motion v-neck, high-low bottom hem. Elevated comfort: bio-mineral energy, thermoregulation, scientifically tested odor control, ultra-comfort 4-way stretch, and soil release performance. Center back length: 29½". Crew neck 3/4 sleeve knit mesh mix tee. Elevated comfort: bio-mineral energy, thermoregulation, scientifically tested odor control, ultra-comfort 4-way stretch, and soil release performance. Center back length: 25½". Crew neck 3/4 sleeve knit print mesh mix tee. Elevated comfort: bio-mineral energy, thermoregulation, scientifically tested odor control, ultra-comfort 4-way stretch, and soil release performance. Center back length: 25½". 2-pocket sleek neck color block zipper front jacket. Modern fit. Elevated comfort: bio-mineral energy, thermoregulation, scientifically tested odor control, ultra-comfort 4-way stretch, and soil release performance. Center back length: 24½". 3-pocket mock neck, zip front jacket with raglan sleeves. Elevated comfort: bio-mineral energy, thermoregulation, scientifically tested odor control, ultra-comfort 4-way stretch, and soil release performance. Center back length: 28½". 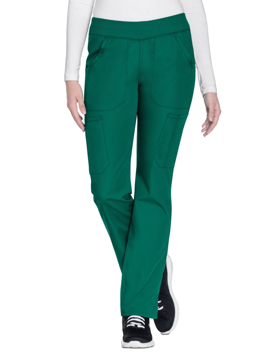 This straight leg cargo pant features a knit waistband, two front pockets, scissor pocket, triple-cargo pocket, back yoke, logo d-ring at pocket end, and side vents at hem. Regular inseam: 31". Petite inseam: 28½". 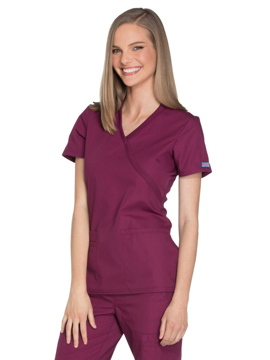 This v-neck color block top features two front lower pockets, two side entry pockets, inner logo utility tape at pocket, and knit panels for engineered design to provide improved range of motion. Center back length: 27½". 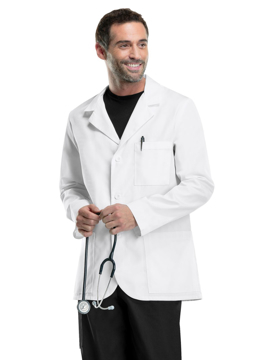 This unisex lab coat has side access openings, two roomy patch pockets, a chest pocket with a pencil stitch, and vented back. This style #1446 features the regular fabric. Center back length: 40". 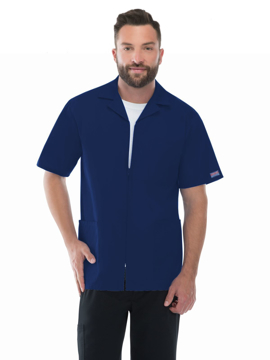 This unisex lab coat has side access openings, two roomy patch pockets, a chest pocket with a pencil stitch, and vented back. This style #1446AB features the Certainty Plus® fabric. Center back length: 40". 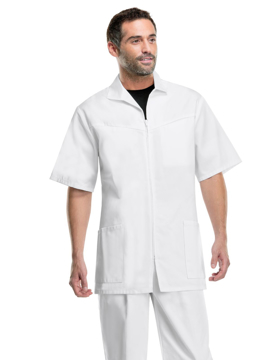 This unisex lab coat has side access openings, two roomy patch pockets, a chest pocket with a pencil stitch, and vented back. This style #1446A features the Certainty® fabric. Center back length: 40". Our stylish lab coat comes with a notched lapel, two patch pockets, a chest pocket, button back detail for shape, and side vents. This style #1462 features the regular fabric. Center back length: 32". Our stylish lab coat comes with a notched lapel, two patch pockets, a chest pocket, button back detail for shape, and side vents. This style #1462AB features the Certainty Plus® fabric. Center back length: 32". Our stylish lab coat comes with a notched lapel, two patch pockets, a chest pocket, button back detail for shape, and side vents. This style #1462A features the Certainty® fabric. Center back length: 32". 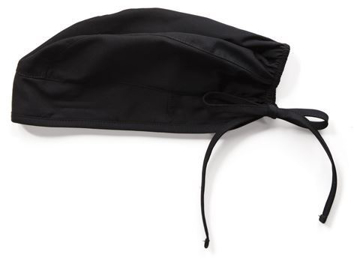 This adjustable, tie-back scrub hat features a terry cloth sweatband and contoured seaming with back elastic for better fit. 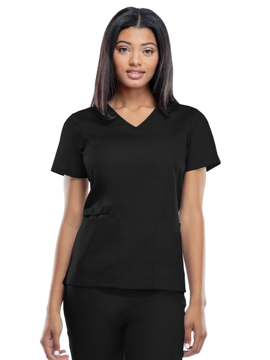 A contemporary fit mock wrap top features front patch pockets (the right with an exterior pocket and pen slot, the left with a hidden instrument loop), side vents, and stretch rib knit at the neckline and back side panels for movement and extra comfort. Center back length: 26". 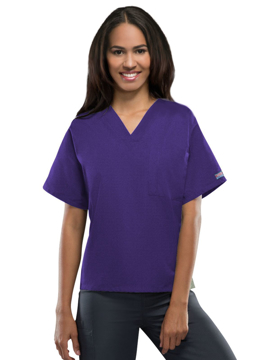 This mock wrap tunic features two patch pockets, one cell phone pocket, side vents and an adjustable tie back. Center back length: 28½".